The real estate sector in Lucknow is going through a transitional phase with huge developments all around the city. With several developmental projects like Metro, International Cricket Stadium, social infrastructural developments and more, the city is witnessing the complete transformation. A number of residential developments are also running all around the city in case of making it a metropolitan city. The residential projects planned in the city are bringing a lavish living trend. If you are planning to invest in a residential property in Lucknow, you must have a look at Eldeco Regalia planned on IIM Road. The project is bringing back the charm of British era in today’s time. The builder has recreated the old-age magic of colonial architecture with modern twist to design this beautiful development. The Regalia project has something magical in its stylish architecture that will attract you. 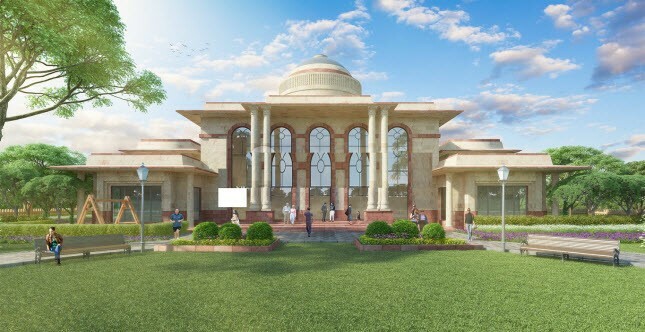 There are expandable villas and plots spread over 33 acres of the pristine land. The homes are planned brilliantly to deliver pure luxury from all the corners. 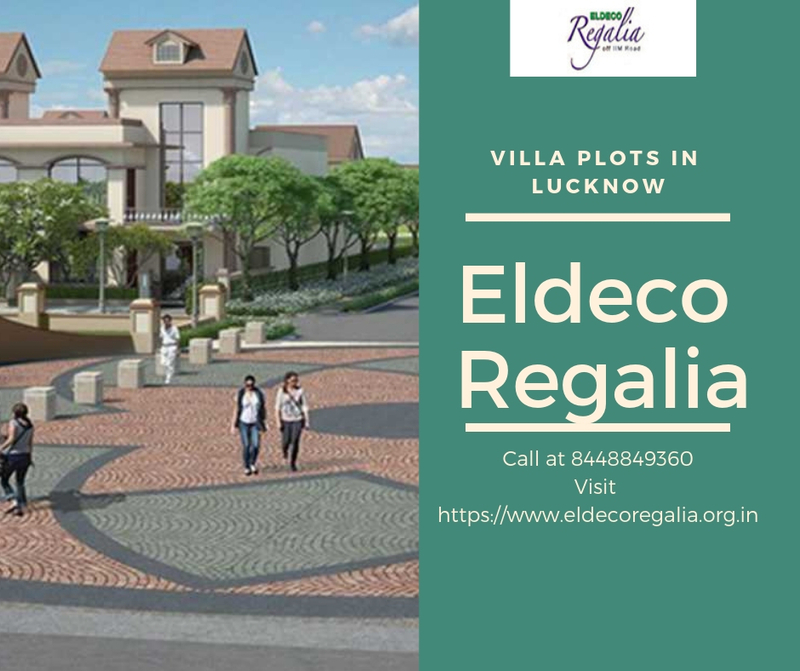 The independent villas at Eldeco Regalia Lucknow are designed in a way to ensure complete privacy of your family. The development is planned amazingly to pamper you like the royals of old-times. The expansive homes are planned in different styles and formats. The township is integrated with best of classy features to elevate your lifestyle. With high-end inspired living amidst peaceful heaven of greenery, life is truly blissful here. This is a freehold property which means there is a clear and proper entitlement of your property area here. There is a grand clubhouse inside the complex fitted with all the amenities for recreation, health and fitness, and for socializing. The apartments are planned superbly with world-class interiors and layout of the homes assures proper cross-ventilation. The infrastructure has been laid well and the whole complex is secured with manned as well as video security. 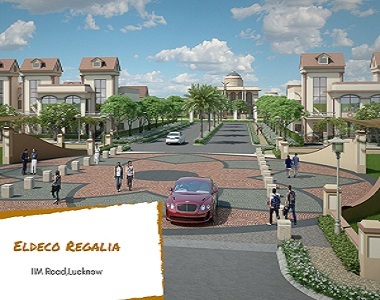 Located at IIM Road Lucknow, Eldeco Regalia homes come in close vicinity to all the major landmarks in the city. The location is amazing and comes in close proximity to top schools, hospitals, convenience stores, shopping malls and more to assure a comfortable life The builder has planned this location thoughtfully to assure the convenience to travel anywhere in quick time. So, if you wish to relive the glory of the past in a modern home, have a look at Regalia once. This is a timeless creation that is planned as per the taste and style of the modern homebuyers with a flavor of colonial style. The Eldeco Regalia price for these homes is truly worth for the facilities it offers. Starting at just Rs. 32.69 lakhs, price for the property extends up to Rs. 1.04 crores, and backed with multiple payment options. Multiple payment plans and home loan facilities are also available.